Are you looking to stop traffic noise from disturbing the peace and quiet in your home? 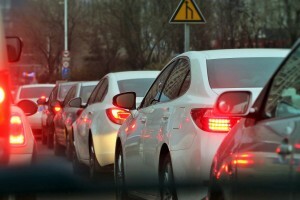 Is traffic noise causing you sleepless nights, stress, exhaustion, and irritation? According to the World Health Organisation, the health impacts of environmental noise are a growing concern. In Western Europe, almost one million healthy life years are lost every year from traffic-related noise. Traffic noise has been known to have adverse psychosocial and physiological effects including cardiovascular disease, cognitive impairment, sleep disturbance, tinnitus, high blood pressure, and antisocial behaviour. What can I do to stop traffic noise? By increasing the amount of white noise inside your home, you can help to reduce the amount of traffic noise that you can actually hear. White noise is a type of sound frequency that is used to mask background noises. Some examples of white noise include sounds from a whirring fan, playing light music, or even downloading an app with specific white noise tracks. Read more about how to sleep soundly with white noise here, and how to reset and optimize your sleep schedule here. Double glazed windows and doors feature an air gap between two panes of glass, and its this extra glass and air pocket that provides the insulation to significantly reduce the traffic noise penetrating your home. Comparative tests under typical conditions have shown a 60% sound reduction when using double glazing on windows. Better still, double glazed windows and doors come with thermally broken aluminium. What does that even mean and how does it compare with normal aluminium? Well, by using a separating polymer resin between the inside and outside of the frame and sash, thermally broken windows create an insulation buffer against the outside world. Thermally broken windows conduct heat/cold/noise a thousand times slower than standard aluminium. If you can, try to install windows away from the sources of the noise. Avoid placing your windows and doors directly opposite to your neighbours house or unit and try to install them next to open space, if possible. If building your home from scratch, make sure to consult an acoustic engineer who can can do a traffic noise assessment and investigate the best options for controlling outside noise. Previous Previous post: What is a Double Glazed System?